Who can predict whether, when and at which price a property will be sold? It all sounds so easy to begin with. Until the first questions arise. How can you know whether your interested parties are only “viewing properties” or whether they seriously want to purchase something? Is the financing secured? What do you do if a buyer has to sell his old property first? What do you do if… there are umpteen additional questions, legal questions, tax questions, financing questions and questions concerning the transaction. You can’t compare a property with a second-hand car. There is a lot at stake- your assets and personal fortune, therefore, too much should not be risked. Price lists do exist and can be used as a rough guide but they cannot always be trusted. Your property is unique and beyond compare and a lot of factors influence its ultimate worth, such as aspect, infrastructure, condition, fittings, style and location to name a few. A price below the market value means a painful loss while an inflated price considerably worsens the sales chances in the long-term. “Too expensive,” says the potential buyer, “Difficult to sell,” says the market. We have the answer. We know the market well, carry out a solid valuation and draw on comparative data from market analyses. We are professionals when it comes to marketing, sales and transactions. You don’t have to risk a thing. We create an offer for you that allows you to play it safe. We guarantee that we will attain a contractually agreed price for your property. In the event that we do not achieve this, despite market-driven conditions, you qualify for the payment of a contractually defined guarantee sum. We are happy to provide you with further details. 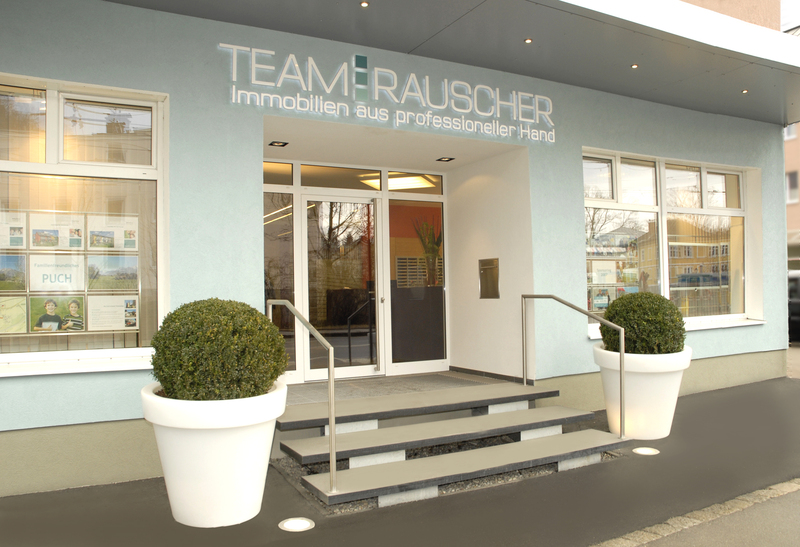 Service telephone: 0662 88 02 04 or by E-mail to: immobilien@team-rauscher.at. Or let us know immediately for which property you require a guarantee, under: My Property Offer. We will get back to you immediately.